With over 40 years of automotive industry experience, you can trust that the team at Novacek Automotive understands and knows how to fix your car and keep it running. In 1993 Joe Novacek founded Novacek Automotive and began providing auto repair service and maintenance to the residents of Wichita. Joe’s passion for cars began when he was a young child. He started working on his Dad’s car lot – he still talks about this “job” – and on this lot, he fell in love with cars. Since that time, cars have been his passion. His passion grew from helping friends and family, part-time, working out of his home garage to opening Novacek Automotive. Since this time, he has made a lot of new friends. Joe’s outgoing, fun-loving personality allows him to connect with customers and vendors alike. 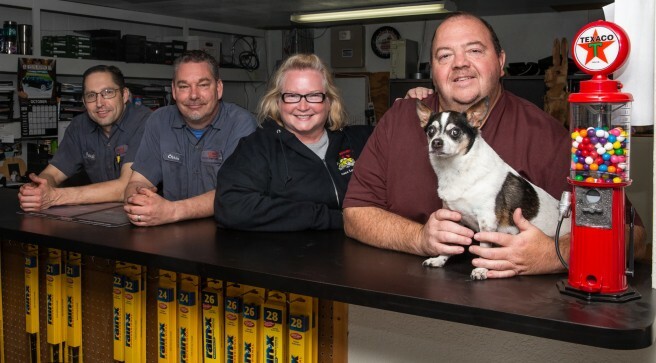 It isn’t often you find an Auto Repair Shop in Wichita, KS that will care more about you and your car. Regardless if you own a newer car, that needs routine maintenance and occasional repair, or you are trying to keep an older car on the road, Novacek Automotive has extensive knowledge and experience. 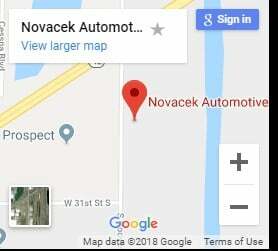 Make Novacek Automotive your car repair headquarters! From the engine to the exhaust, we repair it right. We look forward to helping your family and adding you to our list of satisfied customers. Novacek Automotive has over 25 years of car repair experience! From the engine to the exhaust, we repair it right. We understand how scary it can be when your automobile breaks down and you are unsure what is wrong. We don’t want you to feel this way, and this is the reason why our repairs are done correctly, with the correct parts. We understand auto repair and we spend ample time diagnosing your problem. We ensure that we replace the correct parts for the best price. We know the last thing you want is a surprise bill or unexpected auto repairs.